A common prescription for erectile dysfunction may raise men’s risk of a surprising condition: skin cancer. And men who have used Viagra and developed melanoma have already filed dozens of lawsuits. If you have used Viagra and developed melanoma, you might be entitled to compensation. To get that compensation, you’ll have to file a personal injury claim, and you might need the help of Craig Swapp & Associates. We’ll help you hold the negligent manufacturer and anyone else who contributed to your skin cancer accountable. To get started, get in touch with a Boise Viagra melanoma lawyer. Pfizer, which manufactures Viagra, makes millions every year off the sale of the drug. Viagra was previously connected to vision and hearing loss, but in a 2014 study, it was connected to melanoma, the deadliest form of skin cancer. Melanoma is one of the most common and dangerous forms of cancer. If caught early, it is treatable, but advanced cases can be incurable. The study showed that Viagra users had a much higher risk of melanoma than non-users. This may seem like it would be an easy case to win, but more recent studies are starting to disagree with the 2014 one, failing to find a causation between Viagra and melanoma. These types of swings in the science of side effects are common, but they can make getting you the compensation you deserve even more difficult. That’s why you need a knowledgeable and experienced Boise Viagra skin cancer lawyer to take the lead on your case. Medical Expenses – You can be compensated for current and future medical expenses, including hospitalization, medications, operations, tests, cancer therapies, skin grafts, and more. Income Loss – Your claim should include everything you lose from missing work while you recover. Pain and Suffering – The physical pain and emotional suffering surrounding advanced skin cancer cases can be severe. Wrongful Death – The loss of a loved one is one of the worst effects of cases like this. If your loved one died from melanoma after using Viagra, you may be able to file a wrongful death claim. If you’re dealing with skin cancer that resulted from Viagra use, you will need compensation just to cover all your future medical bills. You’ll need even more to make up for lost time at work, pain and suffering, and your many other damages. 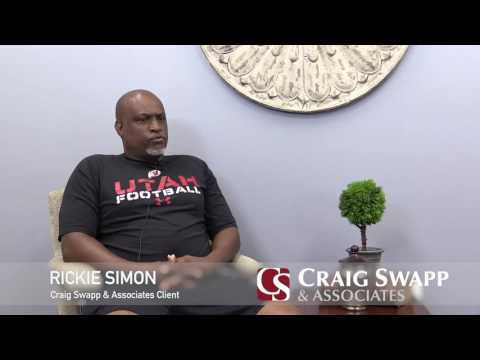 The attorneys at Craig Swapp & Associates are ready to help you get every cent you’re owed. We’ll evaluate your case, build your claim, and fight for you while you focus on recovering. Give us a call at 1-800-404-9000 or fill out our online contact form at the bottom of this page to speak with a Boise Viagra melanoma lawyer.